When it comes to employee wellness and engagement, managers play a vital role, helping set the tone for the entire organization. 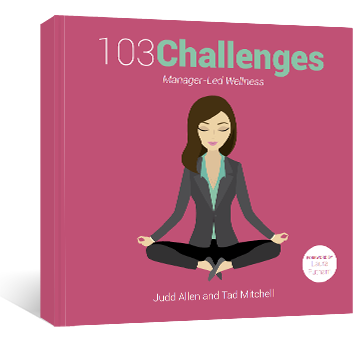 103 Challenges is geared specifically toward managers and wellness managers, helping them become the healthiest, happiest, and most productive versions of themselves, creating a positive ripple effect that spreads to the entire team. The result? Increased engagement, improved wellness, and a healthy corporate culture. Pre-order your hard copy from Amazon, or download the ebook now! Does your wellness program need more fun new challenges? 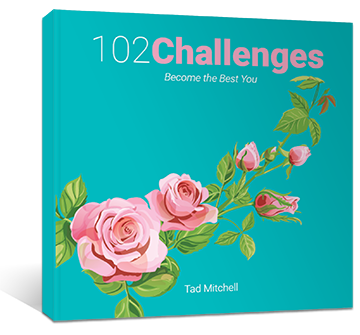 Look no further—download 102 Challenges today and revitalize your wellness program! 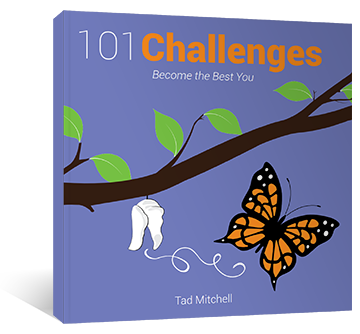 102 Challenges is a BRAND NEW collection of dynamic and inspiring challenges based on the science of how healthy habits are formed. Covering everything from fitness to nutrition, emotional wellness, financial wellness, and purpose, there’s something for everyone! Order your book on Amazon, or download the ebook today! Eat more vegetables. Walk every day. Yes, those are worthy goals, but isn’t it time for something new? Something exciting? Something FUN? 101 Challenges is a quick and easy way to inject variety, personalization, and excitement into your wellness program. Covering holistic, whole-person wellness, 101 Challenges will inspire and energize even the most reluctant (or been-there-done-that) employee. Wellness becomes almost effortless when we form healthy habits. In fact, at WellRight we believe in habits so much, we wrote a book about them. 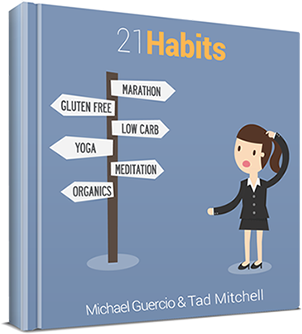 21 Habits explores habits that are small and easy to master, but that lead to a healthy and balanced lifestyle. With helpful information on how to make new habits stick, it’s a great way to kick-start corporate wellness programs of any size.